Five reasons why Fraser Island was the royal favourite! Our much-loved Fraser Island was the only Queensland stop on Harry and Meghan’s Australian tour, broadcasted to millions on the global stage. K’gari, meaning ‘paradise’ by the island’s native Butchulla people, captured the heart of the Duke and Duchess, and is soaring to the top of everyone’s bucket list, the world over! 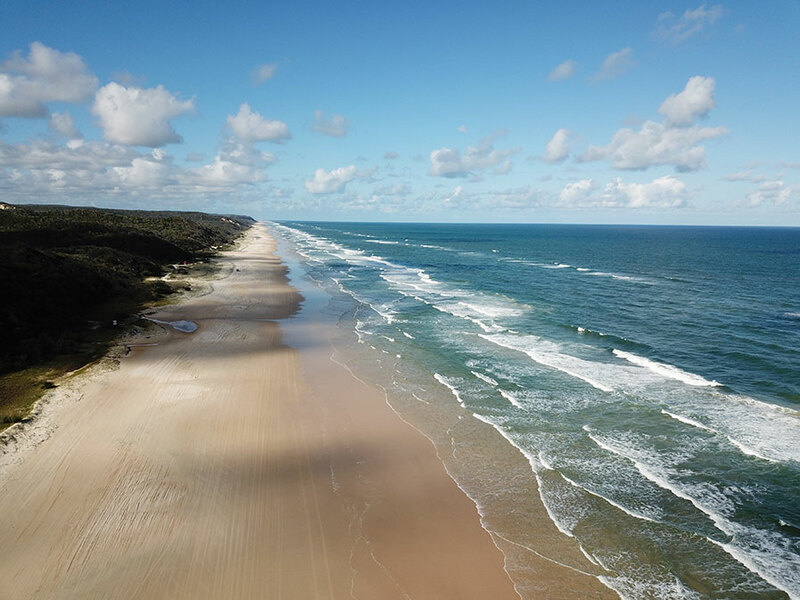 World Heritage-listed Fraser Island really has it all – from crystal clear lakes, glistening freshwater creeks, golden sand dunes, pristine beaches that stretch on forever (75 miles to be exact! ), as well as a total of 206, 970 acres of protected rainforest – one of the only places in the world where rainforests grow on the sand, at elevation of 200 metres. The pristine environment is home to sky-high satinay trees, in excess of 1000 years old. The soaring satinays were even used to re-build the London docks after the Second World War – a connection close to home, for the royal couple. The Royal Couple visited Fraser Island as part of the Queen’s Commonwealth Canopy Initiative, which was launched in 2015. “We’ve heard Meghan was a foodie, with a strong interest in local produce and paddock to plate dining…and in our case it was rainforest to the royal plate.” Annie said, with couple dining on a selection of signature dishes from the resort's Seabelle Restaurant. 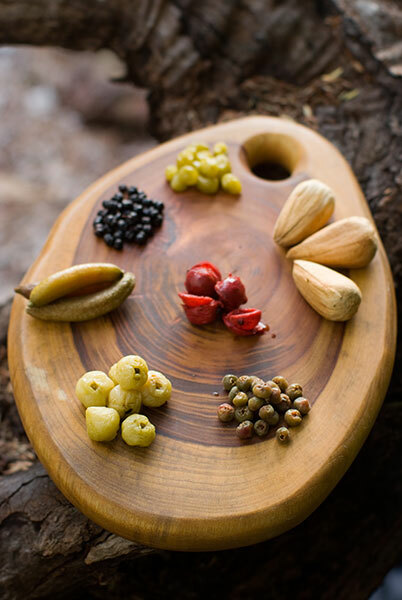 An array of bush tucker ingredients are grown on Fraser Island, from native nuts and berries bursting with flavour, to the refreshing citrus of lemon myrtle. Kingfisher Bay Resort offers a ‘Tastes of Australia’ program; allowing its guests to sample a range of bush tucker, as the resident Chef and Resort Ranger detail their origin and explain how the ingredients can be utilised in cooking. The Chef then pairs a selection with freshly cooked kangaroo, crocodile and emu, presenting the freshly cooked dishes for guests to taste. As a military man himself, Prince Harry is a passionate supporter of veterans around the world, as well as an ambassador for the Invictus Games, in Sydney. “Fraser Island has a secret military heritage that very few know about - during World War II the island was the training ground for an elite Z Special Unit, where they undertook jungle and amphibious training in preparation for missions into Asia,” Annie said. Learning about Fraser’s military connections was a personal interest for Harry, particularly with his own service background, having explored the grounds of our Commando School and the historic McKenzie's Jetty. From cruising along 75 Mile beach, to exploring the native beauty of the rainforest, and expressing his personal interest in the island’s ecology, it’s only fitting that his son and parents-to-be, Harry and wife Meghan made a royal return to Fraser Island, for the chance to experience this natural wonder for themselves. We learned that the Duchess always travels with tea tree oil in her carry-on, quoted as saying ‘it’s my little cure-all’. 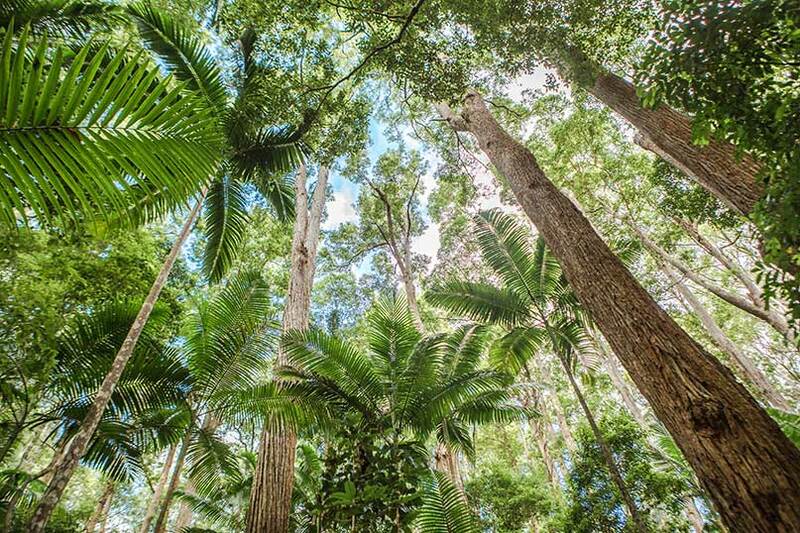 In addition to the lemon-scented tea tree, and the iconic eucalyptus, Fraser Island is home to a range of other rare and native plant species. Guests at Kingfisher Bay Resort can embark on a guided "Bush Medicine" walk around the sprawling resort grounds, discovering the native remedies available, and learning how they were used within traditional Butchulla culture. 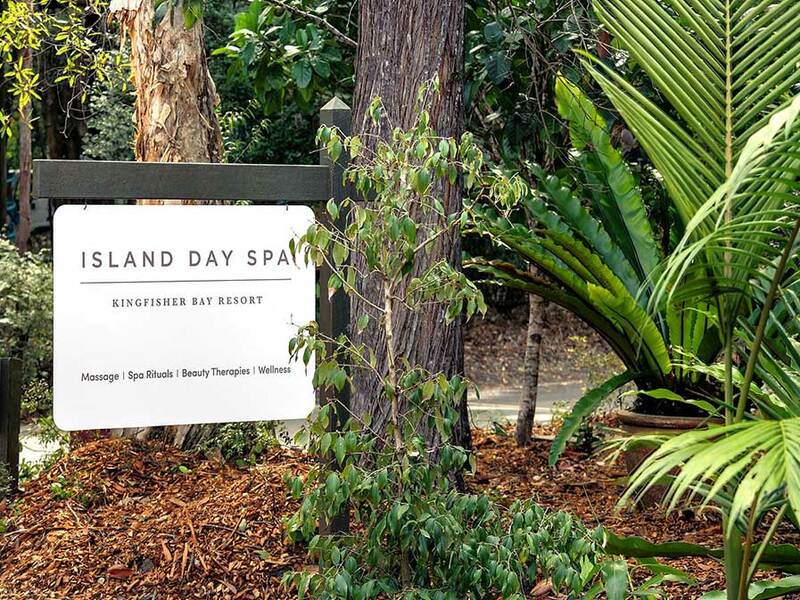 For a relaxing, back-to-nature experience, guests can retreat to the resort’s Island Day Spa, which uses Brisbane-based aromatherapy brand Perfect Potion, for soothing treatments inspired by the native island surrounds. 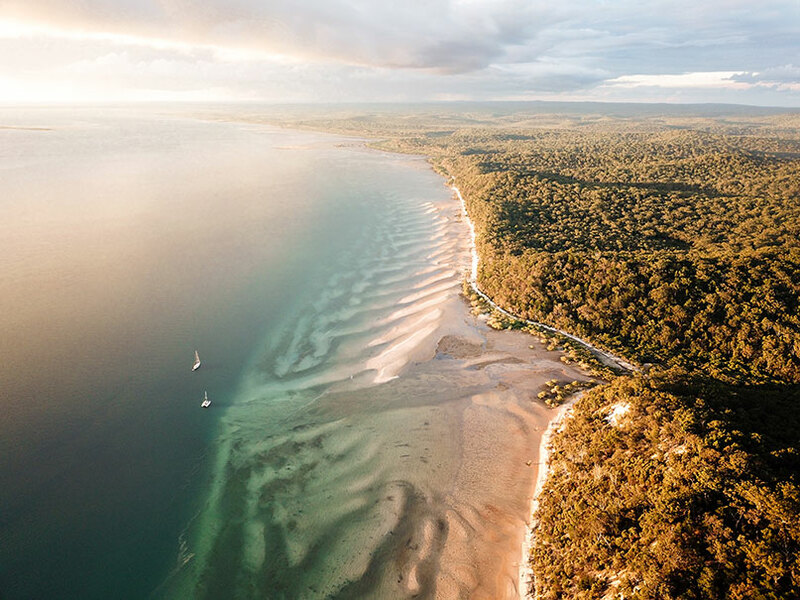 With our beautiful Fraser Island firmly on the map, and having received the royal tick of approval, nature-lovers from all over the world will undoubtedly add Fraser Island to their list, as a must-see destination.